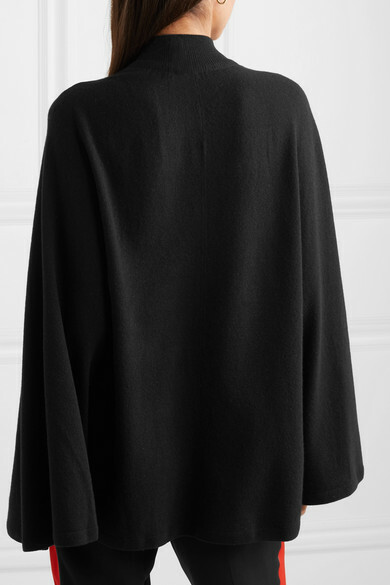 Knitted from a soft blend of wool and cashmere that drapes beautifully in a cape silhouette, Givenchy’s cardigan is an elegant piece. 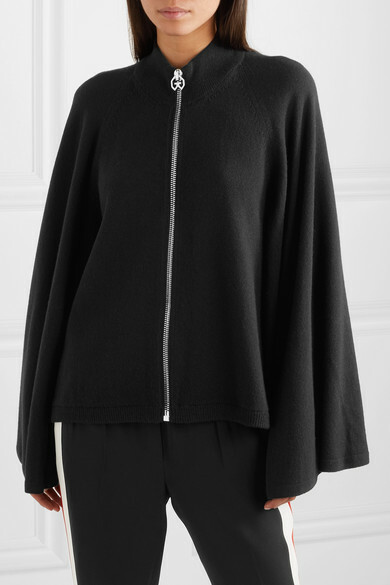 It has oversized sleeves, a longer back hem and fastens with a double G zip pull. 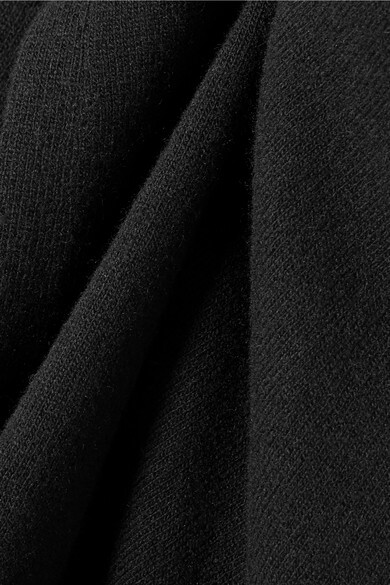 We suggest styling it with head-to-toe black. Shown here with: Givenchy Pants, Givenchy Shoulder bag, Givenchy Ankle boots, Jennifer Fisher Ring, Jennifer Fisher Earrings.